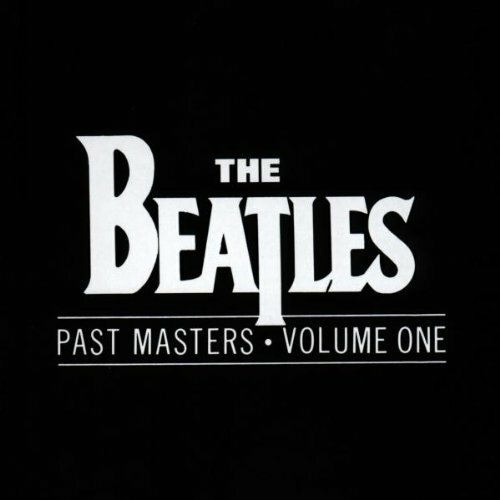 Past Masters is a double-CD set containing all of The Beatles' recordings that had not otherwise been released on an album. Originally released in 1988 as a two separate CDs, named Past Masters Volume One and Past Masters Volume Two, the collection was compiled by Beatles historian Mark Lewisohn at the time when the Beatles' albums were being prepared for CD in the mid-1980's. Owing to the band's policy of not releasing singles that had not already been released on an album, the compilation contains many of the band's most important recordings, including such tracks as She Loves You, I Want To Hold Your Hand, Paperback Writer and Hey Jude. 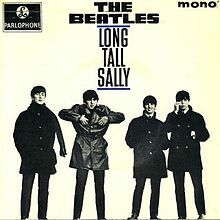 The collection consists of all of the Beatles' singles, including songs that had been released as alternative mixes or recordings for singles (eg Get Back, Revolution and Let It Be). It also includes three tracks recorded specifically for foreign markets (two of them in German), a track originally donated to a charity compilation album and all of the tracks from the Long Tall Sally EP. A decision had been taken by Apple at the time to standardise the Beatles' albums worldwide, using the original UK releases so that they were released as The Beatles had intended. In all, Lewisohn had a straightforward task - basically to compile all of the tracks that were not on a UK album into chronological order. 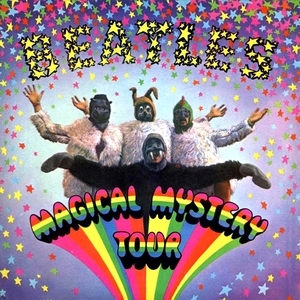 But EPs were falling out of favour in the US, and Capitol, the Beatles' American label, opted to release Magical Mystery Tour as an album, filling it out with the Beatles' 1967 singles, the Sgt.Pepper's Lonely Hearts Club Band era Penny Lane/Strawberry Fields Forever, and All You Need Is Love/Baby You're A Rich Man, and UK Magical Mystery Tour era non-album single, Hello Goodbye, (the B-side, I Am The Walrus, was on the EP). The Magical Mystery Tour album was released in the US on 27 November 1967. Fast forward to 1988, and this caused an odd anomaly on the Past Masters compilation, because there is a jarring change of style between 1966 B-side Rain and the next non-album single, 1968's Lady Madonna. This could easily have been prevented by moving the four tracks at the start of Volume Two (Day Tripper, We Can Work It Out, Paperback Writer and Rain to the end of Volume One). But it would have been more in keeping with the spirit of the releases to have included all of The Beatles' 1967 non-album tracks, eg the US Magical Mystery Tour album. There is also an argument to include the four new songs from the Yellow Submarine album, but as this is a UK album, it had a legitimate place in the release schedule. There is perhaps a simple commercial reason for bringing the US Magical Mystery Tour compilation into the standardised discography: selling Past Masters Volume One, Past Masters Volume Two and Magical Mystery Tour will make more money for Apple than simply Past Masters Volume One and Past Masters Volume Two. But including the 1967 UK singles and EP in the set would have made it flow better as a compilation. Nevertheless, technology has changed since the 1980s, and we have the ability to make our own compilations. A full track listing for Past Masters Discs One and Two is presented here. At 60:01 for Disc 1 and 70:08 for Disc 2, it fits comfortably on two CDs. Feel free to include the four Yellow Submarine tracks - they fit neatly in between "Revolution" and "Get Back", but would extend the collection to three CDs. In the 21st century, with our MP3s, this doesn't really matter. Ask Me Why: When Did Bob Wooler Acquire His Copy Of "My Bonnie"
Why Are There Different Versions of "Help! "?